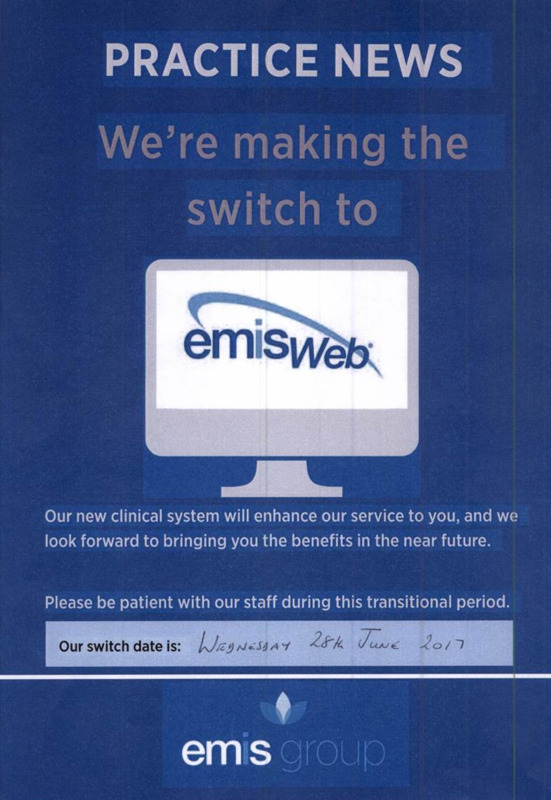 These changes are essential and will take full effect from 28th June 2017. Training is already underway but it may take longer for us to perform some tasks until we get used to the new system. We will do all we can to minimise the impact on patients, but some disruption may be inevitable in the first few weeks. In particular, access to online appointment booking and prescription ordering will be unavailable for a short period of time.